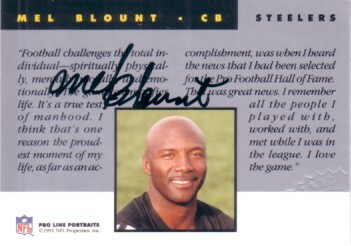 1991 Pro Line Portraits certified autograph card of legendary Pittsburgh Steelers defensive back Mel Blount. With certificate of authenticity from AutographsForSale.com. ONLY 2 AVAILABLE FOR SALE.